The amazing Kirsty Young can speak at your event! As a booking agent for Kirsty Young, we can arrange for her to entertain your guests. Best known for being one of the country’s top broadcasters, Kirsty Young was the launch presenter for Five’s ground-breaking Five News in 1997. She has presented the long-running BBC Radio 4 programme, Desert Island Discs, since 2006, and in her role she has interviewed a varied selection of guests including Yoko Ono and Ricky Gervais. Kirsty Young is also a regular guest presenter for Have I Got News For You on BBC, and has fronted a number of documentaries, as well as BBC1’s flagship show Crimewatch. Best known for being one of the country’s top broadcasters, Kirsty Young was the launch presenter for Five’s ground-breaking Five News in 1997. She is available to hire for events as a conference facilitator and as an awards host. Her specialist subjects cover arts & culture as well as current affairs. Kirsty Young has presented the long-running BBC Radio 4 programme, Desert Island Discs, since 2006. In her role she has interviewed a varied selection of guests including Yoko Ono and Ricky Gervais. 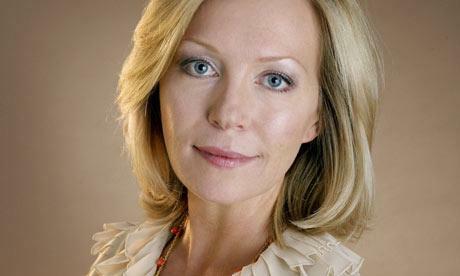 In January 2008 Kirsty Young became host of one of the BBC1′s flagship programmes, Crimewatch. She also regularly hosts BBC2′s Have I Got News For You. In 2012 Kirsty presented the documentary series The British Family on BBC1 and in 2011 she returned to our screens in another major four-part documentary, this time an exploration of the post-war British workplace. During her time at Five Kirsty Young received the prestigious Sir James Carreras Award for Outstanding New Talent in 1997, at the 46th Variety Club Showbusiness Awards, and Newscaster of the Year at the TRIC (Television & Radio Industries Club) Awards. Whilst at Five, Kirsty Young presented a number of news specials, and documentaries, for the channel, including Meet the Prime Minister and Gordon Brown Meets the Ten Year Olds. Kirsty Young has hosted many corporate awards ceremonies including, The Evening Standard Awards, and The 4th Which? Annual Awards. Other corporate clients include Thinkbox and Thomson Reuters Extel Surveys. Contraband is the UK’s top booking agent, with attentive, skilled account managers who guarantee you the best deal possible. Contact us today if you would like to book Kirsty Young to be the headline of your event! We as your booking agent are more than happy to help you create the most memorable moments with Kirsty Young. Kirsty was absolutely great. Everyone loved her…And we have had the most fantastic , apparently never-ending, publicity. Just a quick note if you wouldn’t mind passing on our thanks to Kirsty. She was absolutely delightful, and as a Which? subscriber, she really resonated with our audience. We were delighted with Kirsty’s hosting skills, and feedback about the event so far has been overwhelmingly positive. Thank you so much for being a great host for our Ernst and Young Entrepreneur of the Year [Awards]. Thanks also for being such good company over dinner.